Wrestle like a girl because girls can do anything, especially wrestle. I strongly believe all girls should wrestle, or at the very least give wrestling a try. I know what the sport did for me mentally, physically, and emotionally and I believe every girl can benefit from such experiences the sport gives you. However, I believe the biggest battle is not convincing girls why they should wrestle, but more so getting their parents on board. Almost all of my research papers in University were about women in sport or the Olympic movement. I've always been passionate about these topics. One semester I took class on marketing for social change. I chose to study girls in sports and the impact of role models. Research taught me that from about 8-11 years old, a girl's main role model will be her parents. From 12-18 years of age it is generally her peers. With that said, for a girl to start wrestling it would be great for her mom and dad to support this. 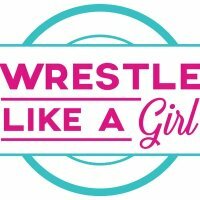 While I internally want to beg every mother and father to let their daughter experience wrestling, I understand there are still some arguments to be made. Yes, wrestling isn't a girls state-sanctioned sport in every state yet, but we're getting there. 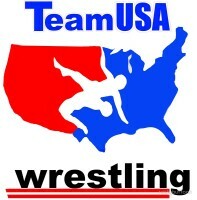 Yes, it's not offered in NCAA Division 1 Universities (yet), but there are still many University scholarships available and the opportunity to travel the world wrestling for Team USA (which is not an unrealistic dream for womens wrestling since much of the competition is abroad). Before you write off wrestling for your daughter please consider it again from the perspective of the benefits it can give your child in the form of mental, emotional and physical development and fortitude. My mom was once one of those parents who needed convincing. My deep love for the sport and the changes she could see it caused within me were the reasons she let me continue. So here is her reason why girls should wrestle. "When Helen asked me to write about why girls should wrestle from a mother's perspective, I ultimately decided that I should write about why shouldn't girls wrestle? Wrestling instills such tremendous qualities: self-discipline, self-control, confidence, perseverance, the willingness to work hard and sacrifice for what you want, and these are qualities we want all of our children to have. Wrestling gave my sons these qualities; why wouldn't I want my daughter to reap the same benefits? I was one of those parents who thought that my daughter might get hurt or that someone might be unkind because she was a girl wrestling in a primarily male sport. She didn't, and any obstacles in her way only made her that much more determined. Other parents might believe that perhaps girls shouldn't wrestle because they may not be strong or aggressive enough to compete. That is actually the opposite of what wrestling is all about; you don't have to be the strongest or the most aggressive person on the mat to win; sound fundamentals and technique will always prevail. Think of it as a chess game you're playing with your body. You don't have to be the most talented, or the fastest, or the most powerful. I can't imagine another sport that would have given my daughter so much confidence and mental toughness, and I believe that these are qualities we want all girls to develop." After my first year of wrestling, my parents actually came to me and told me I had to quit because they didn't want me to get attached to a sport that would have no opportunities for me in the long run. Two months later in 2000, the IOC announced women's wrestling would be added to the summer Olympic Games in four years. My mom and dad came back to me and told I could continue since I now had a chance at a future in the sport. Had I never even made an Olympic team, neither of us would have regretted the decision to wrestle because of how much it helped mold me into a strong person. I understand firsthand that in many ways parents have the final say in what sport their child may participate in. Maybe, like my mom, you've never wrestled before, and don't understand fully how beneficial it can be for your daughter. I pray that also like my mom, you will give your daughters a chance to do the sport they love and watch how it helps shape them into a strong woman.